Most of us take the Internet for granted. But think about what Internet access would mean to 5 billion people who don't currently have it. That's the idea behind a new campaign, internet.org, led by Facebook founder Mark Zuckerberg. 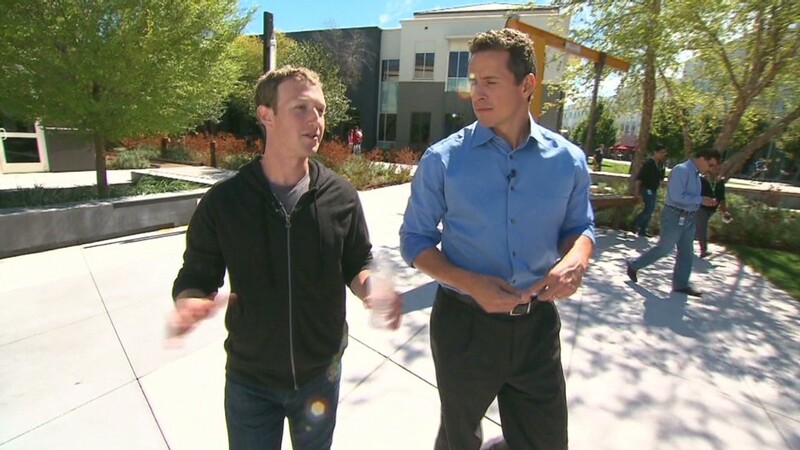 "We want to make it so that anyone, anywhere -- a child growing up in rural India who never had a computer -- can go to a store, get a phone, get online, and get access to all of the same things that you and I appreciate about the Internet," Zuckerberg said in an exclusive broadcast interview with CNN's "New Day" anchor Chris Cuomo. "They're going to use it to decide what kind of government they want, get access to healthcare for the first time ever, connect with family hundreds of miles away that they haven't seen in decades." More than 4.5 billion of the 7 billion people on Earth don't have Internet access, according to the World Bank. The biggest gaps are in Eritrea (just 0.8% have access), Timor-Leste (0.9%) and Myanmar (1.1%). Even in the United States, 19% don't have Internet access. About 1 billion people are already using Facebook. Zuckerberg imagines a world in which everyone has the "same ability to share their opinions and speak freely -- I think that would be a much better place." "Connectivity is a human right," he added. Zuckerberg knows connecting everyone is a tall order, and he has signed up big tech companies to join the effort, including Nokia, Qualcomm and Samsung. Other companies have embarked on a similar mission. Google (GOOG) is sending balloons with radio antennas into the stratosphere as part of a project called "Loon" aimed at connecting people without Internet access. Alcatel-Lucent is bringing its inexpensive lightRadio technology to small villages without cell towers. And phone manufacturers are racing to develop smartphones that cost less than $15 -- a goal that even top-tier smartphone makers such as Nokia, Samsung and BlackBerry are working diligently to reach. How much will it cost? Zuckerberg says he's already invested more than $1 billion in his mission to get people connected, and he's "hoping to do a lot more." The key to the effort will be mobile, which is a big part of Facebook's growth strategy. Facebook (FB) stock tanked after its IPO last year when investors worried about its efforts to generate advertising revenue from people checking Facebook on mobile phones. The stock has had a rebound in recent months after the company began to show progress in that area. Another 5 billion "customers" certainly wouldn't hurt. But Zuckerberg bristles at the idea that the internet.org campaign is about profits. "If we really just wanted to focus on making money, the first billion people who are already on Facebook have way more money than the next five or six billion people combined," Zuckerberg said. "It's not fair, but it's the way that it is. And, we just believe that everyone deserves to be connected, and on the Internet, so we're putting a lot of energy towards this."